It is common among alcalainos, when discussing with madrileños about the beauties and unaccountable goodnesses of our Alcala, to try to settle the discussion it by stating that “Alcala es una ciudad, Madrid no” (Alcala is a city, Madrid is not). Surprising as it may sound (most madrileños simply laughed at this affirmation! ), Alcala has the official title of ciudad (city), meanwhile Madrid, though being the capital of Spain, is legally merely a villa,in particular a Villa y Corte (Village and [King’s] Court). 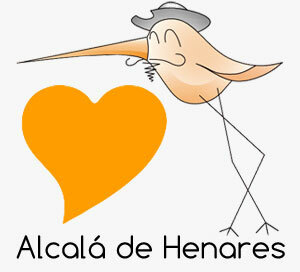 Alcala de Henares was granted the title of ciudad in 1687, year in which Diego de Torres de la Caballeria and Diego de Anchia along with other noblemen, persuaded king Charles II (after great endeavours and the payment of five thousand ducados) to sign the concession of the title . Being a city usually meant many privileges (such as exemption from certain royal taxes or the right to send representatives to the Castillian parlament), but since Alcala was actually a ecclesiastical territory ruled by the archbishop and not by the king, the only real privileges were adding señorial ciudad to its name, the right of raising banners in the city hall each time a new king was enthroned, and the right of using four maceros (civil servants carrying maces) in public acts, something which can still be seen today. Taking into account the love for paraphernalia of the baroque society, the alcalainos were probably extremely happy of becoming a city. 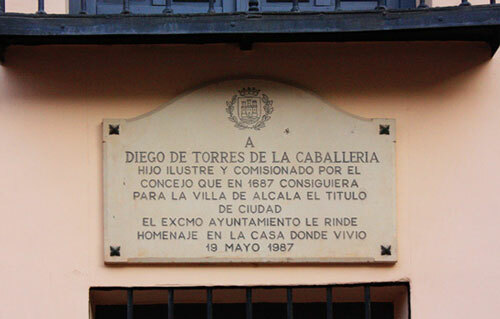 The house of Diego de Torres de la Caballeria was restored on the 400th anniversary of the grant of the title of city and can be seen in Plaza de la Victoria, as a public building. So, now you can be proud of being in a real city! 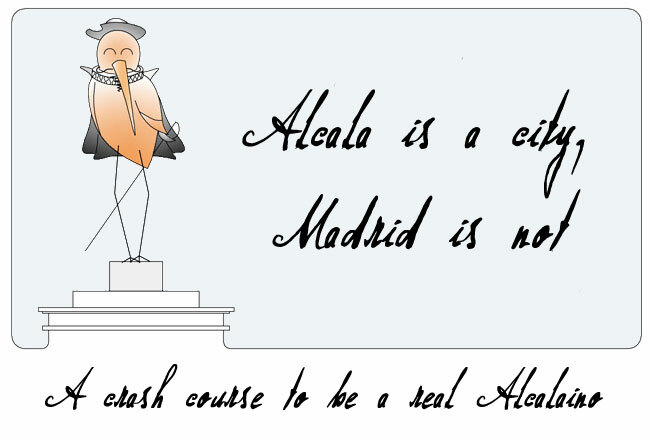 Decided to take our crash course in being a real alcalaino? You can continue here. Most people think Madrid has always been as big as it is now, but the truth is until XVIth century it was just a small village.